So Close for St Francis! 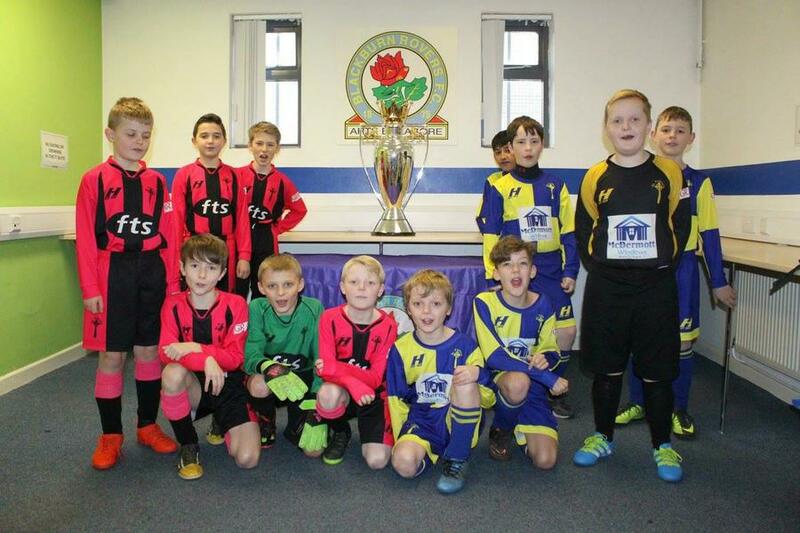 Recently, St Francis took part in the Blackburn Rovers EFL Kids Cup competition which is run nationwide by teams in the football league. After dominating their group with 4 fantastic wins in the group stages, and subsequently winning their semi-final with ease, the team battled Eccleston Primary in the heat finals, only to lose a nailbiter, conceding two late goals to the eventual winners. The school team has been performing at a very high level so far this year: They had a fantastic performance finishing 3rd (going unbeaten in 10 matches, only being denied a second consecutive Jubilee Shield final appearance on penalties in the semi-finals...) at the Jubilee Shield, and also had a great league win over St Thomas before Christmas too. The school is very proud of every member of the team who represent St Francis so brilliantly. You can catch up with all the latest sporting happenings at St Francis in 2016/17 by visiting our club information pages, as well as find out which sports clubs are running each week on our status page.